Answers to Your Legal Questions About the Law and Medicine The law can be confusing, which is why we offer answers to frequently asked questions about medicine and the law. Watch this video to learn more. 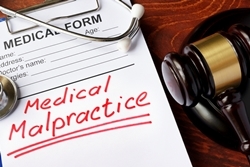 Medical malpractice is more common than people realize. For this reason, it’s important that when you’re a patient, you become closely involved in your own medical care. You need to be able to understand your diagnosis and treatment plan and identify the many types of medical negligence that could lead to a malpractice lawsuit. Diagnosis errors. These include a missed, delayed, or incorrect diagnosis—which can lead to a worsened condition or treatment errors. Medication errors. These could involve the wrong dosage, wrong medication, improper administration, or a pharmacy error. Surgical errors. These may include nerve damage, failure to control bleeding, leaving behind a surgical object, wrong surgical location, and even incorrect surgery or wrong patient. Anesthesia errors. These most commonly involve the anesthesiologist giving too much or too little anesthetic. Pregnancy or birth errors. These could include mistakes during the first check-up, during the pregnancy, and through the delivery process. A doctor may miss risk factors, use surgical tools improperly, use excessive force, or fail to properly monitor the baby and the mother. Finally, it’s important to note that you are not responsible for a doctor who makes mistakes. Although it’s prudent to be prepared and educated, it’s not your fault when any medical professional is negligent and causes you harm. If a doctor, nurse, pharmacist, or other medical professional recently caused harm to you or someone you love, contact an attorney as soon as possible. The Holton Law Firm has been representing patients for years, providing them with personalized legal services—and we can do the same for you. To schedule a free consultation and case evaluation, fill out the online contact form on our website today. Why should I get a lawyer for medical malpractice? My lawyer said I don’t have a medical malpractice case. Is it possible he missed something? Can I find out how the treatment from my previous doctor caused my injury?